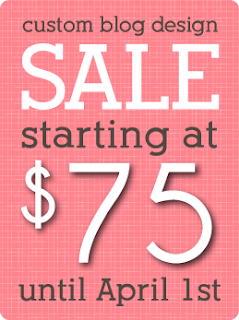 Carolynn from Makin' Cute Blogs is having a Custom Blog Design sale! If you want your blog to be professional looking, and stand out in the crowd, Carolynn can make it happen! Her designs are starting at $75. To get this deal, make sure to reserve your spot by April 1st. If you are a Blog Designer, or a DIY Blog Designer, Carolynn is now offering plenty of elements in her Design Shoppe, to help you build your design. 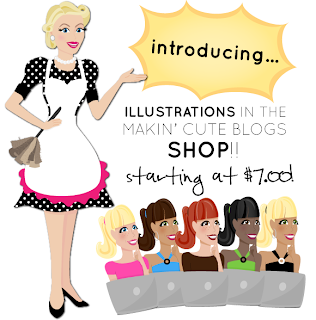 Her latest addition is Illustrations, starting at only $7! And if you're interested in giving Blogger your two cents, click HERE to fill out their latest survey. Hello! I've just directed myself here via 'Falling off a High Heeled Life' and I've been reading your very interesting articles. I particularly enjoyed the one about comments. I'm almost at the point where my blog needs refreshing so I am interested in new ideas.